In eager anticipation of this joyously gluttonous holiday, we head to Saxon + Parole in New York City for their seasonal Turkey Old Fashioned. 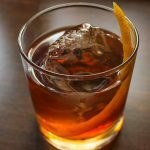 Created by thirsty fan favorite and Head Bartender at S+P, Masa Urushido, this meaty twist on the classic gives you all of the satisfaction of an Old Fashioned with notes of nostalgia and subtle tastes of an actual turkey. Stir all ingredients together and pour into a rocks glass with one large cube. Garnish with an orange twist. 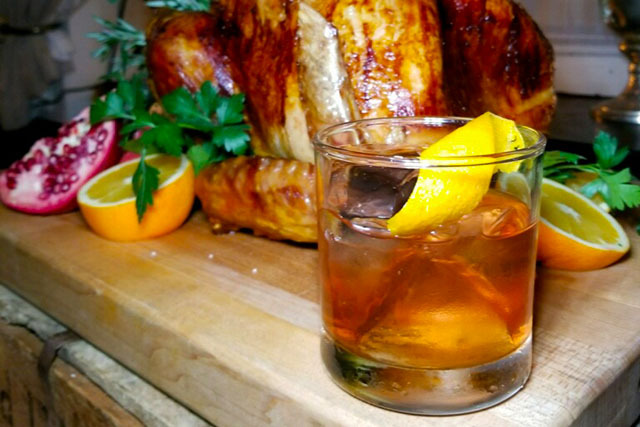 If you are still looking for a place to celebrate the holiday and want to experience the Turkey Old Fashioned at Thanksgiving, Saxon + Parole has got you covered. 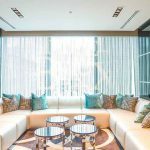 Chef Brad Farmerie and Chef de Cuisine Nicole Gajadhar will be offering a robust menu of both traditional dishes and offerings with an S+P twist. In addition to wine and beer offerings, head bartenders Maxime Belfand and Devon Boyll will be offering 2 specialty cocktails – the Turkey Old Fashioned and the Cranberry Pisco Sour – alongside a Sherry wine cart for your pre, during, or after cocktail desires. In addition to dinner, the chefs will be creating a pie bar with a variety of help-yourself options. If that isn’t enough, every guest, no matter how full, will receive a cheeky package of “leftovers” to make the traditional day-after turkey sandwich. If you really want to splurge, you can add fresh-shaved truffles to any dish or make it “Surf and Turk” by addition 1/2 lobster. 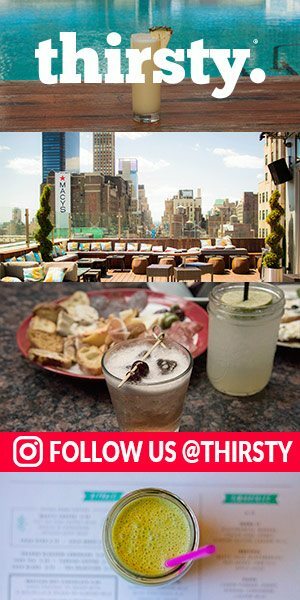 Reservations are available via OpenTable or by calling 212-254-0350. For parties of 6 or more, dinner will be offered family style, and parties under 6 will be asked to dine a la carte. It will be $85 for adults and $45 for kids.